QSAN snapshot (QSnap) is based on copy-on-write technology. It’s a block-based and differential backup mechanism. QSnap’s functionality is designed to be highly efficient; it keeps a point in time record of block-level, incremental data changes of the target volume. 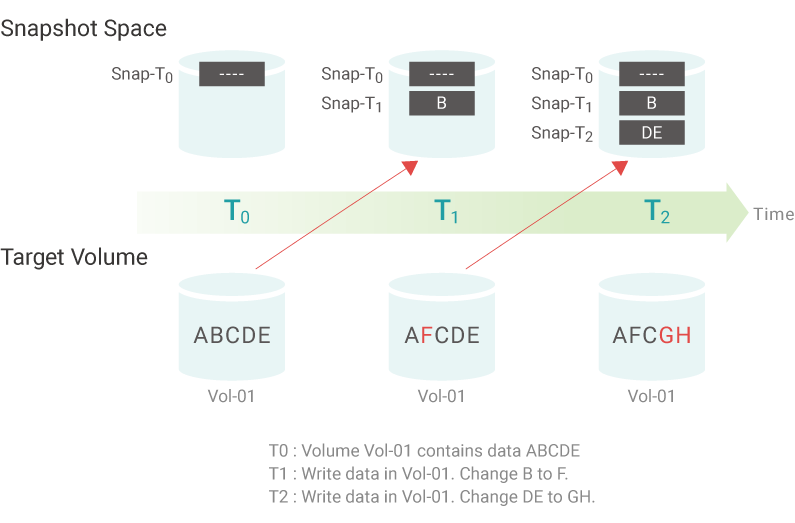 QSnap can help recover a volume to a previous state quickly to meet enterprise SLA (Service Level Agreement) requirements of RPO (Recovery Point Objectives) and RTO (Recovery Time Objective). QSnap is the easiest and most effective measurement to protect against ransomware attacks, virus attacks, accidental file deletion, accidental file modification, or unstable system hardware caused by bad I/O cable connection, unstable power supply, etc. Apart from the rollback function, QSnap allows direct access to the snapshot content with read or read/write permissions. There are two benefits. One is that it will not consume the free capacity of the storage pool. The other one is that it will not affect the content of the target volume. Before mapping a LUN to the snapshot, the snapshot needs to be exposed to be prepared for accessing. An example of these benefits would be that programmers or developers can easily test a previous version of their compiled codes simply by mounting an older snapshot version onto a LUN instead of rolling back the snapshot and overwriting the existing source codes. 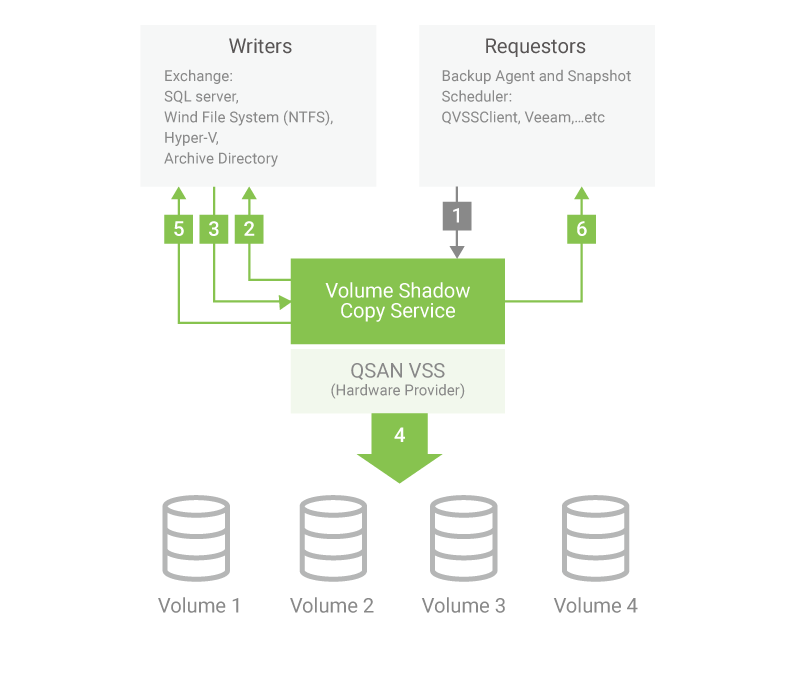 QSnap is compatible with Windows VSS (Volume Shadow Copy Service). VSS is a host memory flush mechanism for creating consistent “point in time” copies of data known as “shadow copies”. A Windows agent utility is provided to bridge and synchronize the information between the XCubeSAN system and Windows operating system. After implementation, you can trigger a snapshot directly from Windows without any data consistency issues.